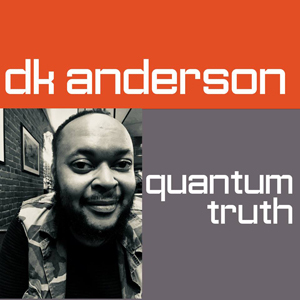 We must take as truth the music of the tenor saxophonist DK Anderson is all about the “pursuit of possibilities”, but be warned, you may be surprised by the extent of both his “pursuit” in both the repertoire as well as in how far he and his musicians – especially his wife and vocalist Diane Anderson – actually do go. Quantum Truth, as the album is appropriately titled has a number of surprises. Two of these are Thelonious Monk anthems; one being “Epistrophy” and the other being “Round Midnight”. On both, Mr Anderson not only takes on Mr Monk’s death defying harmonic conceptions (especially on the former); a challenge on any instrument. Mr Anderson, the saxophonist melds Mr Monk’s crackling melody with Charlie Rouse’s famous solo excursions, but also – quite magically – manages to invent a fabulously inverted rhythmic groove as well. The album is worth every penny you spend for that tune alone. However, there is much more to recommend it. The aforementioned “Round Midnight”, for one, on which Mr Anderson’s work so articulate, so spare, so straight to the heart is ridiculously rare. Meanwhile the pursuit of “possibilities” is the stated intention and meaning of the title and there are few songs more revealing than Dave Frishberg’s “I’m Hip”, which may be remembered because of two iconic versions: Blossom Dearie’s and another by Bob Dorough. Diane Anderson’s version is to be placed at least on an equal footing as both those, if not a peg above either one. The reason? Miss Anderson brings to the song a kind of sensuality that no one (Frishberg included) could have imagined possible. She appears not only to have found something special in the song, but has also let that something speak to her in a manner that is uncommonly delicate. Moreover, few vocalists seem to have mastered their instrument and taken possession of it as Miss Anderson has, with echoes of the great Nancy King, one might add. But make no mistake this is Mr Anderson’s moment in the sun. 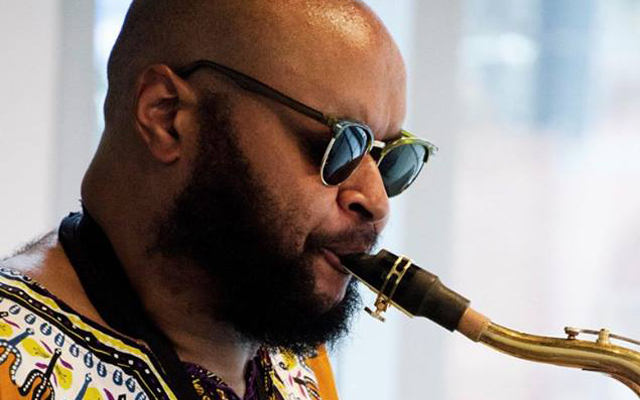 His suave, sometimes raspy and always sensuously breathy tone is reminiscent of the great tenors that have made Jazz music as irresistible as it is today; men like Coleman Hawkins and Ben Webster, Sonny Rollins, John Coltrane, Pharoah Sanders, Albert Ayler, Archie Shepp and others. And while Mr Anderson has some way to go before he reaches that mythic state as his musical ancestors, he shows the kind of promise in the power and surety of his playing that is most likely to get him there eventually if he carries on pushing at hard at the boundaries of his music. His rhythm section is a mighty one and bassist Maria Castellon and the drummers Dave DiStefano and Kai Ballard, and guitarist Enzo Belli ought to stay along for the ride. Each of them certainly bolsters Mr Anderson’s artistry considerably so that this album has, for a start, cut a clear path en route to (very possibly) an epic journey. Track list – 1: Inner Urge; 2: I’m Hip; 3: Epistrophy; 4: All the Things you Are; 5: Sun Sail; 6: Round Midnight; 7: Lady Grinning Soul; 8: Can You Dig It?